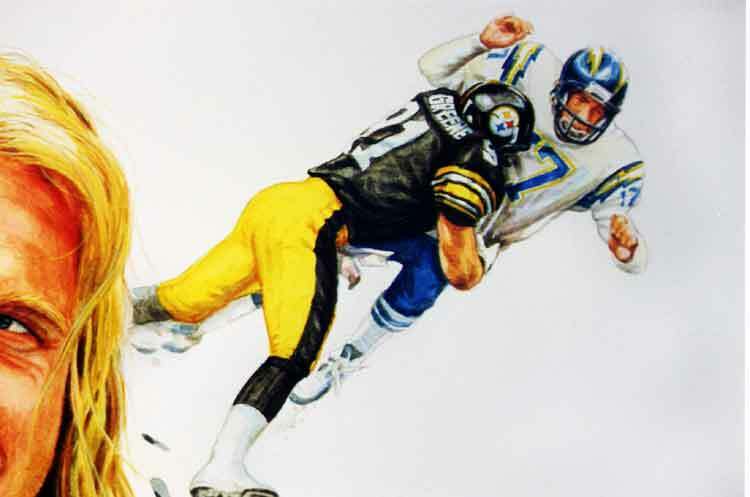 In 1998, Kevin Greene, known as one the NFL"s greatest sackers to ever grace the football field commissioned Delgado to creating this work. 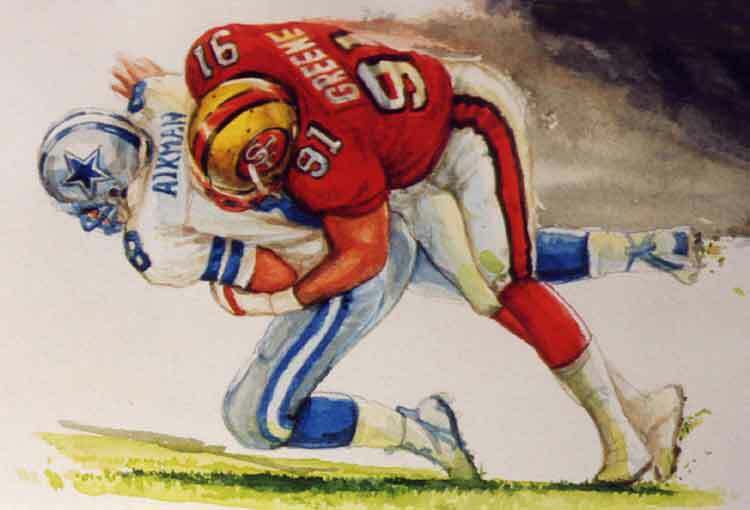 Greene, is a five-time NFL Pro Bowl selection who compiled some impressive numbers during his 15-year NFL career, including 160 sacks, 776 tackles and 26 fumble recoveries. He appeared in six conference championship games and one Super Bowl during his career. Following a stellar career as defensive end at South High School in Granite City, Illinois, Green was a walk-on player at Auburn University and set numerous school records as a defensive end for the Tigers. 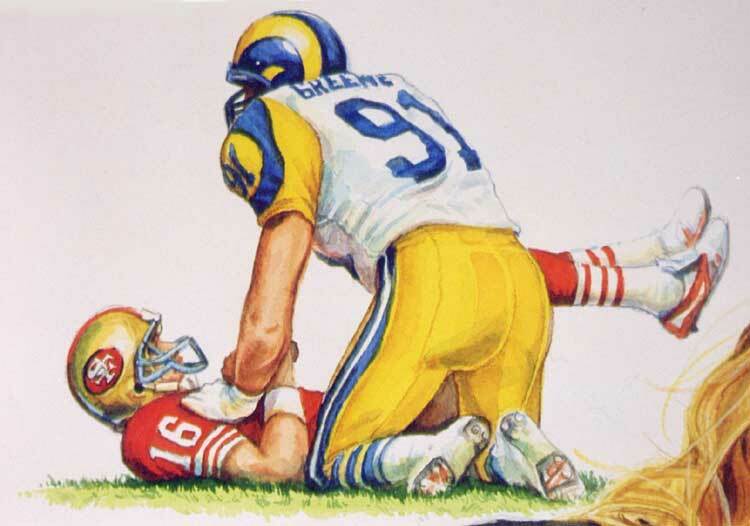 Drafted by the Los Angeles Rams in 1985, Greene went on to play for the Pittsburgh Steelers, Carolina Panthers, and the San Francisco 49ers and again for the Carolina Panthers. Kevin has always expressed an enthusiasm and a deep dedication of the game that few have been able to duplicate. 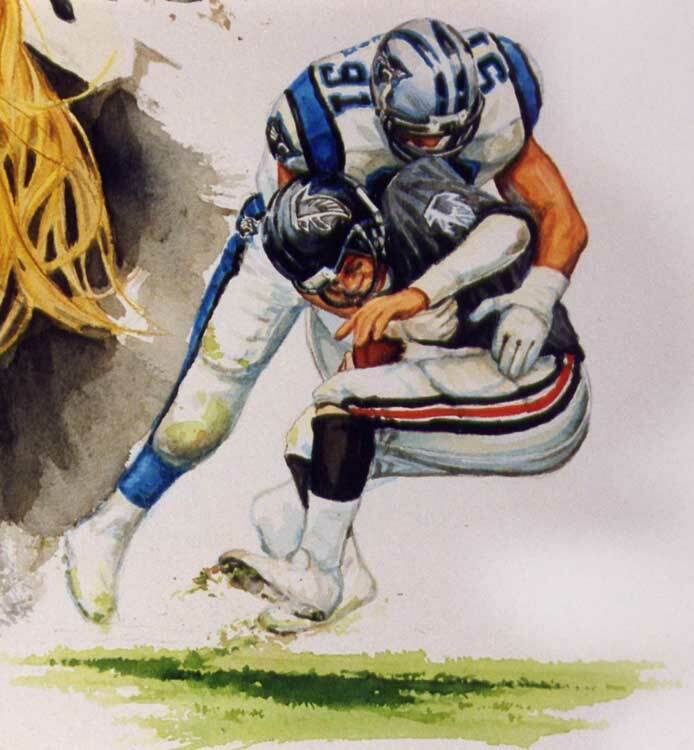 This work was designed to illustrate a small portion of his football career. Kevin's wife, Tara Greene, is shown singing the national athem during a playoff game. Below are details of four of his favorite sacks against some of the greatest quarterbacks to play the game. This work is hanging at the Alabama Hall of Fame where Kevin was recently honored and inducted into. 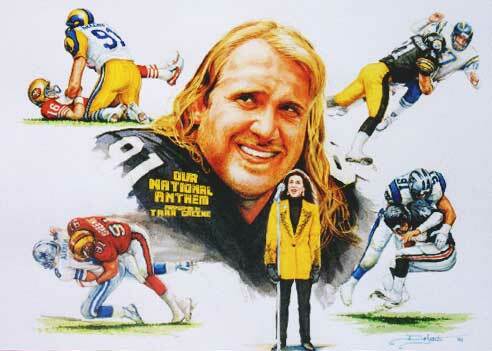 Limited edition lithographs, autographed by Kevin Greene are presently available. In addition, these esquisite pieces are signed and numbered by the artist and comes with a certificate of authenticity. Please hit the email link below to request availability and obtain additional information.